And so let’s hear it for all the ladies and the amazing role they play in that little old thing they call life! 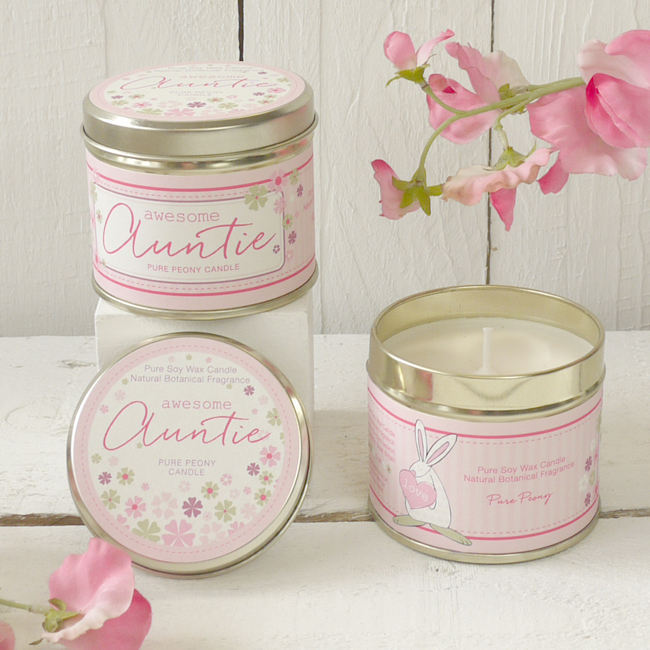 If you are tempted by our Pure Peony Awesome Auntie candle you might also be interested to know that we do a fine bone china mug and greeting card too match. 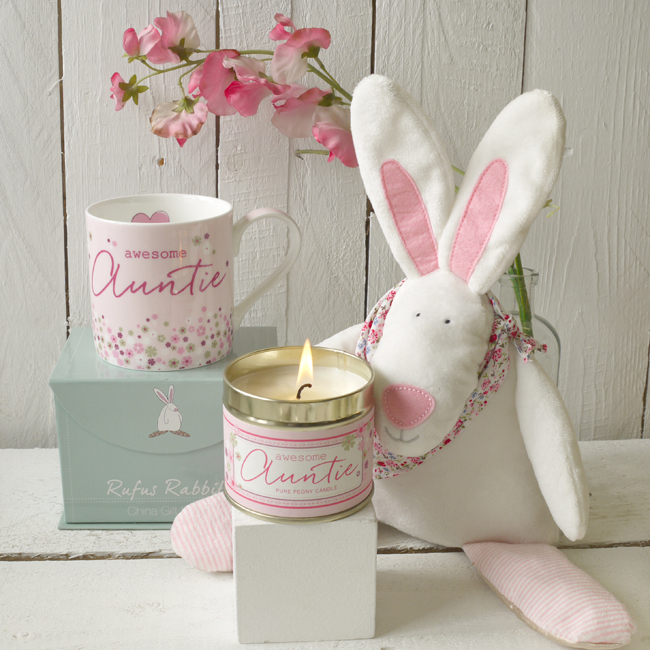 Rufus Rabbit had no idea that our peony smelt sooooo good. Trust us, you won’t be disappointed!